Phosphorus deficiency is one of the most growth-limiting factors in acid soils in various parts of the world. The objective of this study was to screen 25 rice cultivars (Oryza sativa L.) at low, medium, and high levels of soil P. Number of tillers, root length, plant height, root dry weight and shoot dry weight were related to tissue P concentrations, P uptake and P-use efficiency. Shoot weight was found to be the plant parameter most sensitive to P deficiency. Significant cultivar differences in P use efficiency were found. 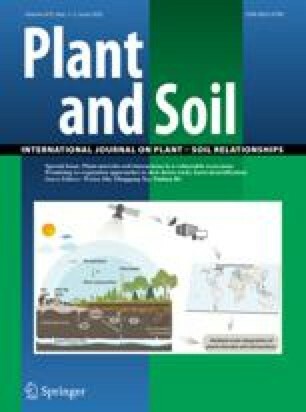 Phosphorus use efficiency was higher in roots than shoots and decreased with increasing levels of soil P. Positive correlations were found among growth parameters such as plant height, tillers, root and shoot weight, and P content of roots and shoots. These results indicate selection of rice cultivars for satisfactory performance under low P availability can be carried out using shoot and root dry weight as criteria.